I know I’ve showed you some inspiring rooms photographed by Hiya Papaya at this year’s Utah Parade of Homes before. The interiors of these homes were just jam-packed with inspiring ideas, and the room I’m about to show you is no exception. 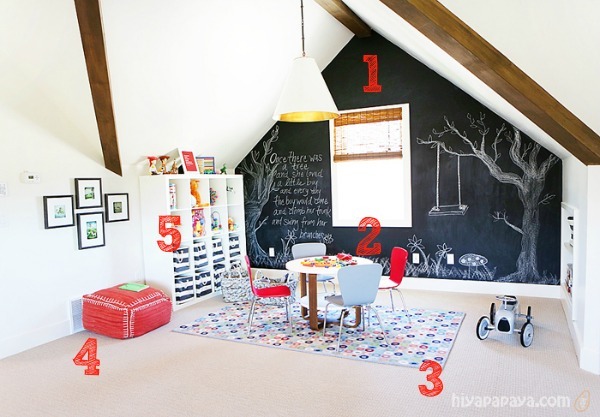 The great thing about this playroom is that there are quite a few things about it that could translate well into any space–whether it’s a basement, a bonus room, or a corner of your living room. I found several DIY projects that can help you achieve a similar look without a hefty price tag.